Two harvester ants from adjacent nests engaging in ritual warfare, pushing in a display of force but not actually harming each other. It is thought that colonies use these mock battles to gather information about their neighbors. 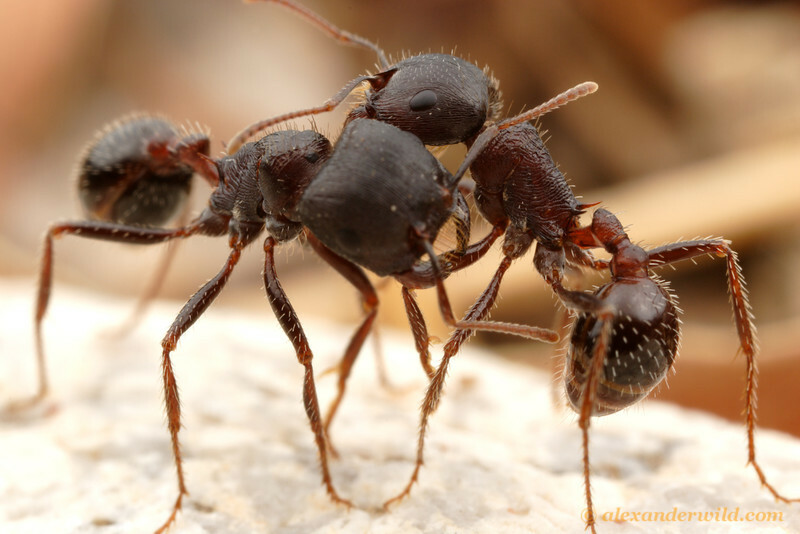 Knowledge about the strength of competing colonies helps ants set territorial borders without loss of life.